These essays, originally written by Evola during the 1930s and '40s, deal with war from a spiritual and heroic perspective. Evola selects specific examples from the Nordic, Vedic, Roman, Persian, Islamic and other traditions to demonstrate how traditionalists can prepare themselves to experience war in a way that will allow them to overcome the limited possibilities offered by our materialistic and degraded age, thereby transcending the Age of Kali and entering the world of heroism by achieving a higher state of consciousness, which Evola depicts as an effective realisation of the ultimate purpose of life. His call to action, however, is not that of today's armies, which ask nothing more of their soldiers than to become mercenaries in the temporary employ of a decadent class. Still less is it a call to misdirected or nihilistic violence. Rather, Evola presents the warrior as one who lives an integrated and purposeful way of life - one who adopts a specifically Aryan view of the world in which the political aims of a war are not its ultimate justification, but rather war is seen as merely a means through which the warrior finds his calling to a higher and more complete form of existence beyond the political, and in accordance with the teachings of the great spiritual texts. More importantly, he shows how the ideal of the warrior extends beyond the battlefield into other aspects of traditional living, even in times of peace. 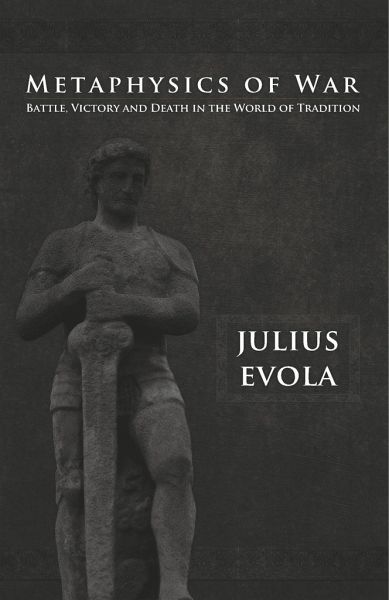 Julius Evola (1898-1974) was an Italian traditionalist, metaphysician and political philosopher. He remains a leading authority on the world's esoteric traditions and one of the greatest critics of modernity. He wrote extensively on the ancient civilisations and beliefs of both East and West and the world of Tradition. His principal works include Revolt Against the Modern World, The Path of Cinnabar (also published by Arktos), The Hermetic Tradition and The Yoga of Power. 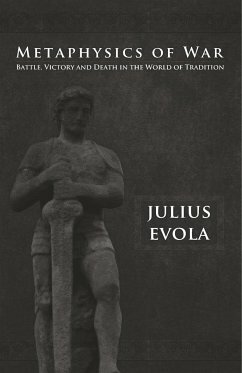 Julius Evola (1898-1974) has been one of the most misunderstood and controversial authors of the twentieth century. Born in Rome, Evola began his pursuit of truth as a Dadaist painter and an Idealist philosopher, but quickly lost his taste for modernism and moved on to metaphysics, religion, and the occult. Encountering the work of René Guénon, who became a lifelong friend, Evola embraced his concept of the Primordial Tradition and his critique of the modern world. Believing that Tradition was an idea which should encompass the social as well as the spiritual world, Evola saw some hope for a remedy to the ills of modernity in Fascism, although he never joined the Party, and his writings on the subject were frequently critical. After 1945, Evola remained aloof from politics, and attempted to define the most effective stance for an inhabitant of the modern age to adopt and still retain something of traditional wisdom. In recent years, Evola's ideas have given rise to a new breed of spiritual seekers and anti-modernists. Apart from the present volume, Arktos has published his books Metaphysics of War, which is a collection of his essays from the 1930s and '40s; The Path of Cinnabar, which is his intellectual autobiography; as well as his post-war assessments of the fascist phenomenon, Fascism Viewed from the Right, Notes on the Third Reich, and A Traditionalist Confronts Fascism.